Do you need to hire a modular ramp for your shop, business or residence? 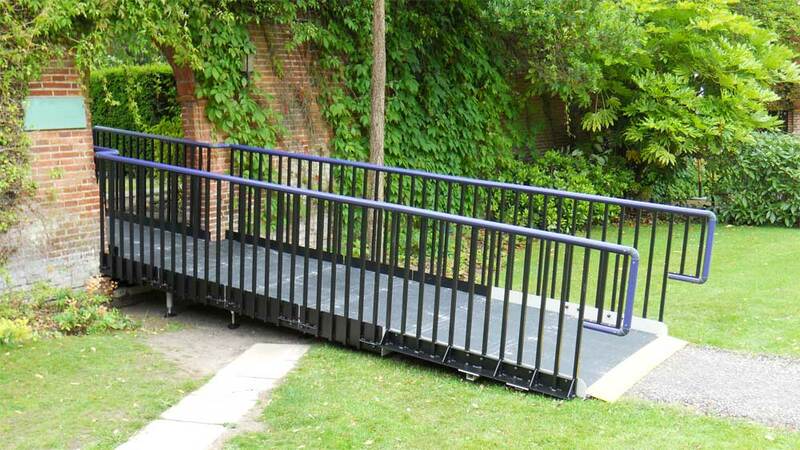 PARS fully compliant public access and residential modular ramps are now available for hire either short of long term. 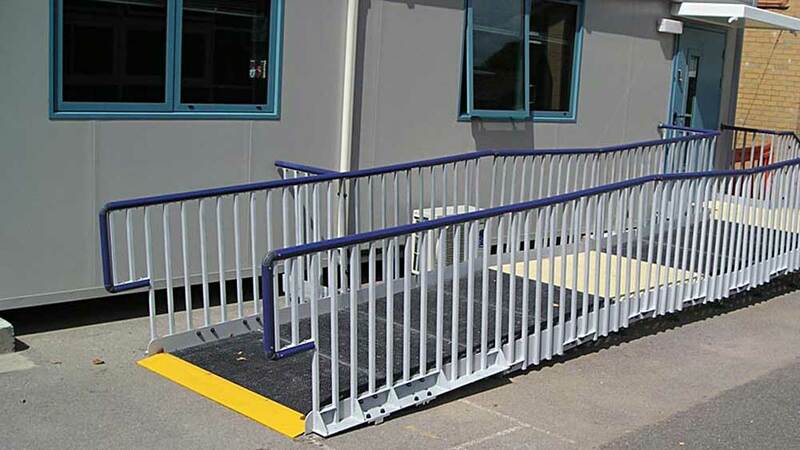 Our modular ramp and step systems can be installed quickly (usually one day on site) by our installation engineers. PARS modular ramps can be easily removed, with little trace of them having existed, and reinstalled at a different address even in a completely different pattern. Again our installation engineers could carry out this work. No ‘foundations’ are required unless the ramp is to be installed on soft ground when a concrete slab under each foot is normally sufficient. Ramp support legs are adjustable to compensate for uneven ground. 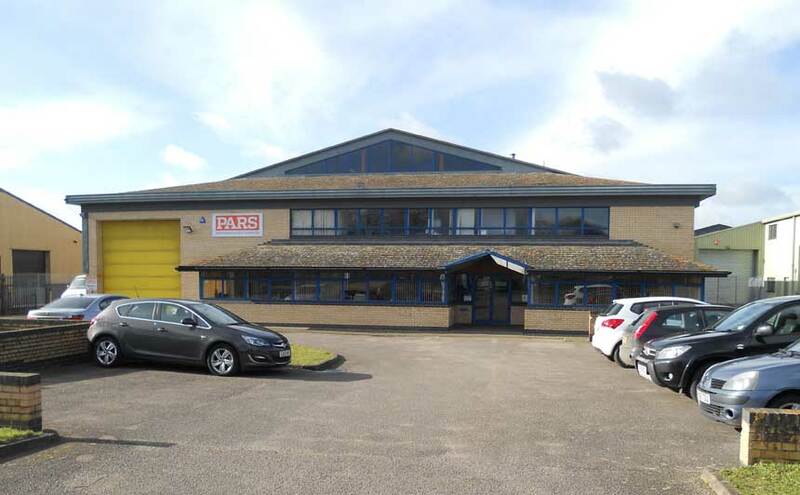 PARS ramps have slip resistant fibreglass mesh flooring to let rain and snow through onto the ground to drain away naturally. Handrails are double height and can be either steel or our own plastic ‘warm to touch’. We can also offer balustrades with ‘warm to touch’ handrail along the top. Because our ramps are free standing they do not usually require planning approval. PARS staff can advise you on all of your access ramp requirements. Why not give us a try?